We love The Criterion Collection here at Movies Past and Present. We’re a charter subscriber to their upcoming Criterion Channel, which allows us access to the “Movie of the Week” films they are providing early subscribers before their streaming service officially launches on April 8. This week’s movie of the week is Chungking Express (1994) and I haven’t been able to stop thinking about it. Made in Hong Kong and written and directed by Hong Kong-based director Wong Kar-wai, the film is a unique combination of police drama, film noir, and romantic comedy. Here’s a trailer for the U.S. release of the film. As mentioned, it’s two stories in one, with each story about a broken-hearted policeman. Story one focuses on Cop 233 (played by Takeshi Kaneshiro) who deals with his girlfriend leaving him by finding and buying a can of pineapple each day with the expiration date of May 1, the one-month anniversary of their breakup (and with the promise that he’s going to eat all 30 cans on May 1). Stating that everything has an expiration date, Cop 223’s sadness lingers on, even in the throws of a big case he is working on with a mysterious woman wearing sunglasses who is involved in a dangerous drug ring. 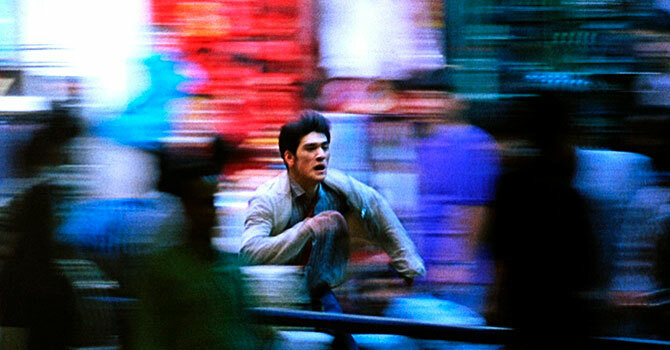 Cop 223 (Takeshi Kaneshiro) in a frenetic chase in CHUNGKING EXPRESS. Story two is overall a bit lighter in tone with heartbroken Cop 663 (played by Tony Leung) that has just been dumped by his flight attendant girlfriend. He starts to rebound by falling for a waitress named Faye (played by Faye Wong), who’s got some commitment problems of her own. Still, she is interested enough in Cop 663 to start intervening in his life in a rather unusual way. 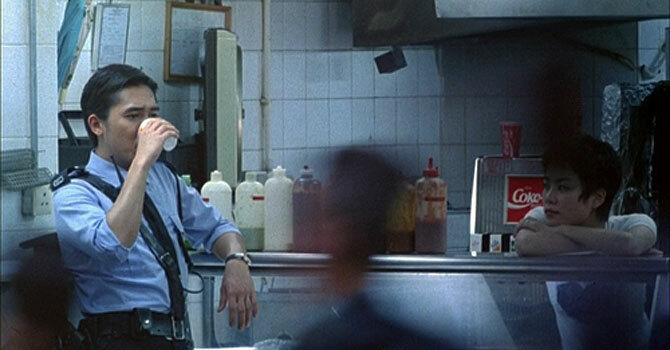 Cop 663 (Tony Leung) visits Faye (Faye Wong) at the Midnight Express take-out stand in CHUNGKING EXPRESS. 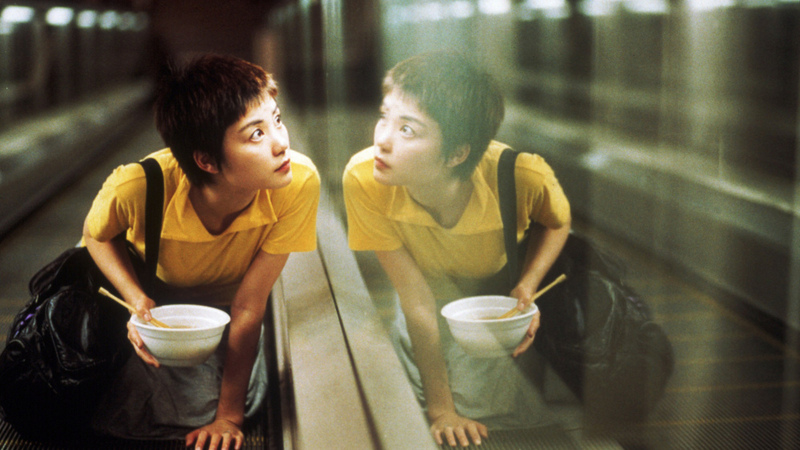 Chungking Express is challenging, strange, and beautiful—really a unique piece of cinematic art. Many thanks to the Criterion Channel for continually expanding my cinematic horizons. While the Blu-ray and DVDs of The Criterion Collection’s edition of Chunking Express are presently out of print, let’s hope that the film makes it to the upcoming Criterion Channel streaming service. I love The Criterion Collection. In case you’re not familiar with them, Criterion curates, restores, and releases films for the home video market. Throughout the year, they release important and noteworthy classic and contemporary films on the latest medium (currently Blu-ray and DVD). Working with filmmakers and film scholars, the brilliant folks at Criterion make definitive editions of films with meticulous digital transfers along with fascinating commentary tracks and relevant supplemental features. They work hard to “ensure that each film is presented as its maker would want it seen and published in an edition that will deepen the viewer’s understanding and appreciation of the art of cinema” (from the Criterion website FAQ). As far as streaming services go, Criterion recently collaborated with Turner Classic Movies (TCM) on the now defunct FilmStruck subscription service. FilmStruck was movie heaven for fans (like me) of classic, international, and art cinema. The loss of FilmStruck was really a devastating blow, both for the teams at TCM and Criterion who worked so hard to make the service great and for the subscribers who loved the service. However, happy days are here again because Criterion has just announced that April 8 will be the official launch of their new, exclusive Criterion Channel streaming service. We're so excited! The Criterion Channel, our new streaming service for movie lovers, will launch April 8 in the U.S. & Canada! As a Charter Subscriber, you can start watching *right now* with our Movie of the Week series (beginning with Elaine May’s MIKEY AND NICKY!) ✨ Click the link in our profile to come join us! The service costs $9.99 a month or $89.99 a year. They are offering special incentives to “Charter Subscribers” (aka subscribers who join before the April 8 launch date). Signing up now will give Charter Subscribers an extended 30-day trial (which will start April 8). Charter Subscribers also get “concierge customer service from the Criterion Collection, a dedicated e-mail address to write to, as well as a holiday gift certificate for use on the Criterion Collection website” (which probably is pretty cool). As an added bonus, Charter Subscribers will get access to a “Movie of the Week” that can be watched exclusively online (access via apps and other platforms will happen on April 8). 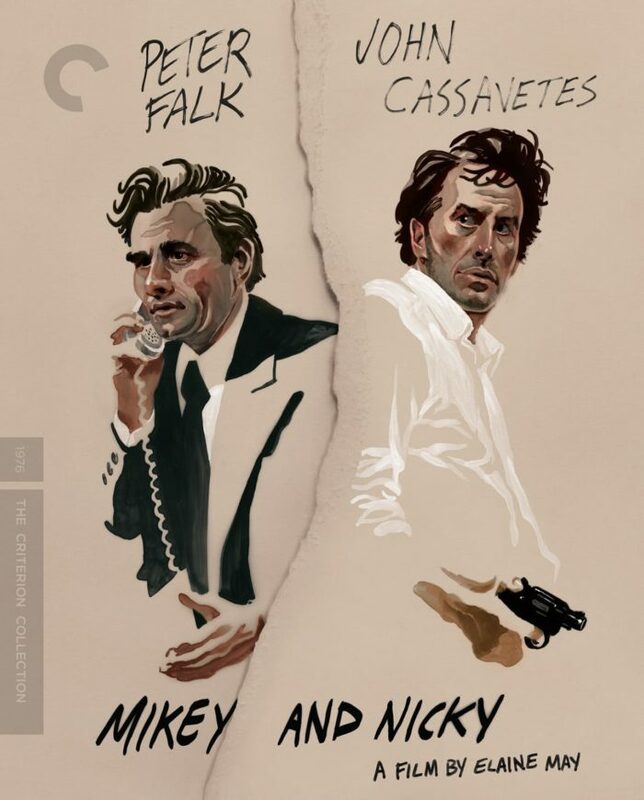 This week’s movie is the gangster drama Mikey and Nicky (1976) starring Peter Falk and John Cassavetes and written and directed by Elaine May. The Criterion Collection version of the film was just released on January 22, 2019. I’m a Charter Subscriber (I signed up the second I saw the tweet from Criterion) so I’ll be checking out these Criterion “Movie of the Week” titles from now until launch and will include reviews and commentary on the blog and podcast starting next week. To subscribe to The Criterion Channel, go to criterionchannel.com. And make sure to follow Criterion on Facebook, Twitter, Instagram, and YouTube.